Since Ronald Reagan left office in 1989, the global community has witnessed the collapse of the Soviet Union and the integration of Europe, the War on Terror and the Arab Spring, a hot Chinese economy and a major international recession. 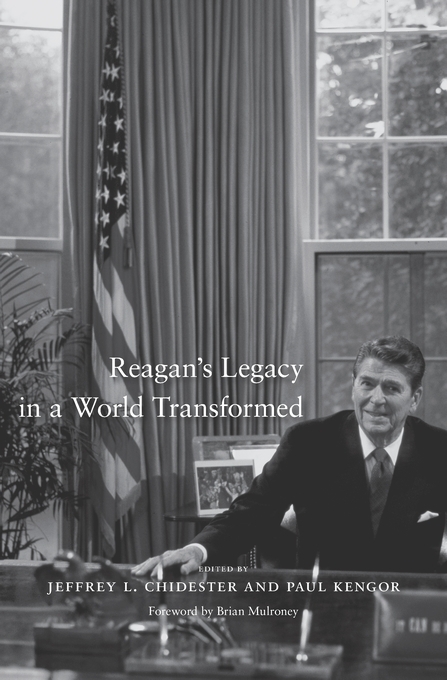 Reagan’s Legacy in a World Transformed brings together scholars from diverse disciplines and persuasions to assess the fortieth president’s policies and their ongoing impact today, and to offer a timely retrospective on his complex legacy. 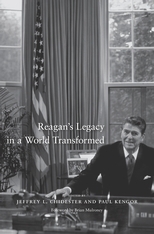 The authors consider the influence of Reagan’s free-market ideas on economic globalization, showing how deregulation succeeded in spurring economic expansion. In foreign policy, Reagan favored significant increases in military spending (“peace through strength”) and an assertive agenda abroad. His break with détente in dealing with the Soviet Union, notably expressed in his 1982 March of Freedom speech, effectively restored the early Cold War strategy of rolling back communism. More than twenty years later, President George W. Bush invoked this speech in describing his goals in the Middle East—a striking example of how Reagan’s ideas affected the post-9/11 world. In contrast with his hawkish stance on defense, Reagan’s efforts to reduce nuclear arsenals, negotiated with Mikhail Gorbachev, constitute one of his enduring contributions to stability. Although Reagan’s policies soared on rhetoric rooted in ideological conviction, the president engaged in pragmatic internationalism when a multilateral approach served America’s interests. He believed that America had a special mission as a moral leader and beacon of freedom, a view that continues to inform U.S. foreign policy.